The Tatton Companion Seat from Rowlinson ia an all weather rattan garden two seat bench set made using full aluminium, rust free frames, woven with a 6.5mm half round wicker. This beautiful piece of garden furniture features a centre glass top coffee table and is supplied with luxurious seat cushions for ultimate comfort. Perfect for entertaining and socialising, day or night with friends and family. This furniture is also suitable for indoors. 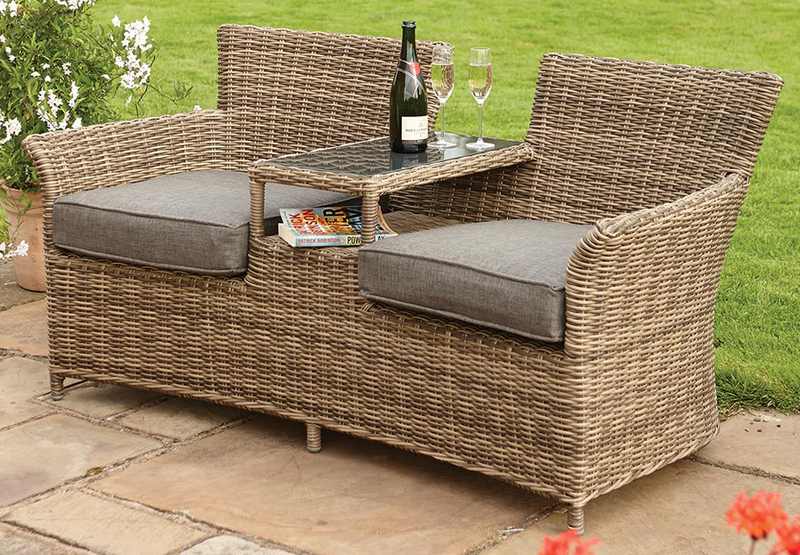 Click the button below to add the Tatton Rattan Companion Seat to your wish list.